Have you ever wondered how folks land those seasonal jobs in national parks or other beautiful and fascinating places around the U.S. — maybe running a campground in the Grand Tetons, leading guided tours in a state historical park, staffing a shop at a summer beach resort, even working as a wine taster at a vineyard? 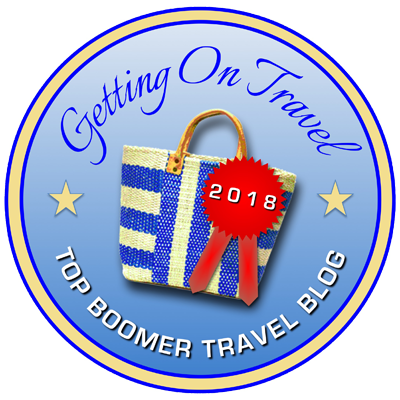 Many retirees and other baby boomers manage to do just that — and still have time to travel where their fancy takes them in the off seasons. No longer tied down to permanent jobs and willing to strike out in pursuit of adventurous experiences, they’re often fulfilling dreams of working in natural surroundings, meeting new people, and even making some extra money on the side. But chances are, even if you’re intrigued by this semi-nomadic lifestyle, you have no way of knowing where to start. That’s where author Susan Shain comes in, ready to answer your questions in her newly released ebook called The Ultimate Guide to Seasonal Jobs: How to Have Fun, Make Money, and Travel the World. It’s packed with tips, strategies, and inspirational quotes, all designed to help you land your first seasonal job — if you’re genuinely suited for this life. But one thing I particularly like about the book is that while Shain clearly loves the time she has spent doing many seasonal jobs herself, she doesn’t sugarcoat the potential drawbacks, including (typically) earning not-so-great pay; having to uproot yourself from family, friends, or pets; and working long hours during the season — which is usually summer or winter, depending on the locale and the particular job. While the ebook seems tilted somewhat toward 20-somethings before they “settle down,” baby boomers and retirees aren’t ignored, interviewing a 71-year-old couple and a man, 65, about their experiences and advice. And the practical advice Shain offers throughout can apply to any age: what qualifications you need, when and how to apply for jobs and avoid potential pitfalls, and how to manage your money, among other considerations. She also offers a number of valuable resources and workbook exercises at the end. One bit of particularly good news: seasonal jobs are plentiful since they open up anew each season, so you’ll probably have lots of options. Oh, and did I mention that you can pay what you want for the 90-page book, starting at $1.00? Not a bad deal if you’re looking to put some pizzazz into retirement or get away from your current daily grind.